Typically, Fleetwood Mac has issued a new album prior to embarking upon a reunion tour. Its latest sojourn, however, is all about its hit singles. 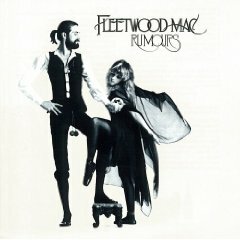 Despite new efforts from Mick Fleetwood (Blue Again) and Lindsey Buckingham (Gift of Screws) as well as rumors of a full-band recording session that was held last fall, the outfit has promised to leave no stone unturned as it digs deeply into its seemingly bottomless pit of well-known songs. Christine McVie, once again, has opted out of the festivities, but considering the purpose of its extensive slate of concerts, it’s hard to imagine that Fleetwood Mac can possibly avoid tackling her tunes. Fans can expect to hear healthy doses of both Rumours as well as the group’s self-titled set from 1975, of course, but there also will be plenty of other goodies tossed into the fray, which should keep things interesting. In these tough economic times, when music fans are likely to be more selective about the concerts they attend, it is somewhat unfair that Todd Snider is arriving in town during the same weekend as his hero John Prine. Then again, Snider isn’t merely creating exact replicas of Prine’s work. Instead, he uses it as a starting point from which to leap into the comedic yet touching possibilities that lurk at the busy intersection of life, love, and politics. His latest set Peace Queer is an odd, rambling collection of tunes that ultimately finds a way of forming a commentary of sorts on the legacy of George W. Bush. In concert, Snider’s between-song banter clarifies the details of his stories as often as it confuses matters. One thing is certain, though: he’s always entertaining. Snider will be at the Park West on March 6. John Prine is the most famous export of Maywood, Illinois, where he served for a time as a postal employee. In a sense, these shows in Milwaukee and Waukegan serve as a sort of a homecoming for him. When combined with his skewed look at life in America, Prine’s country-folk style should have made him a star when the outlaw-country scene blossomed in the early 1970s. Nevertheless, it took a battle with cancer for him to gain the recognition that he long has deserved. 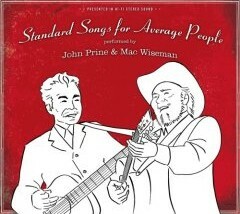 It helps, too, that Prine’s recent efforts, which includes his solo set Fair & Square as well as his collaboration with Mac Wiseman on Standard Songs for Average People, stand as some of the finest recordings he ever has made. In concert, Prine can raise quite a ruckus with both his lyrics and his music, and as those who have seen him can attest, there is never a dull moment in one of his sets. Anyone who happens to be paying even the slightest bit of attention to the world music scene likely is aware that Mali has become something of a hotbed for up-and-coming artists. Habib Koite, Tinariwen, and Issa Bagayogo are just a few of the performers from the West African country who have been trying to establish followings in America of late. Although Toubab Krewe draws upon the same Malian forbears who influenced these outfits, the most notable of which is the legendary Ali Farka Toure, its roots actually lie in North Carolina. Being a homegrown act certainly has its advantages, too. Over the past few years, Toubab Krewe has become a popular mainstay on the summer festival circuit that caters to jam-band audiences, which strangely enough makes the ensemble something of an ambassador for the very musicians it idolizes. Since issuing his solo debut American Hearts, A.A. Bondy has become a regular fixture at Schuba’s. If he’s lucky enough to be one of the few who escape to greener, more lucrative pastures, he’ll have the management of the intimate venue to thank for his success. Bondy’s material, however, is best-suited to the small clubs in which he currently performs. In places like Schuba’s, the dark textures of his lyrics as well as his alcohol-drenched arrangements have the best chance of colliding and resonating. Within American Hearts, there is a sense that Bondy could borrow a few ideas from the likes of Wilco and Son Volt, opening up his music enough to make it work within theaters and concert halls. At the same time, though, it seems as if Bondy also is quite content to light small candles that can illuminate the blackened depths of his despair.